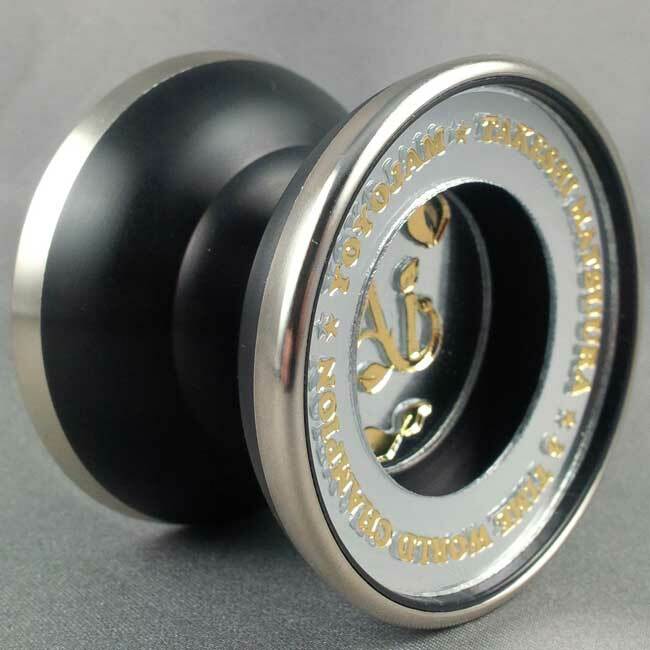 The Ai from YoYoJam and 2008 World 5A champion Takeshi Matsuura features an aluminium body with brass rims. Designed to maximize the catch zone while maintaining control and agility the Ai sports a low edge and a rounded double stepped shape. The Ai has two sets of removable mirrored caps for a very distinct look and feel. The hard work in designing and testing paid off as Takeshi finished 4th in the 3A division and took his second 5A world title using the Ai. The Ai ships with a YoYoJam SPEED bearing and silicon response.